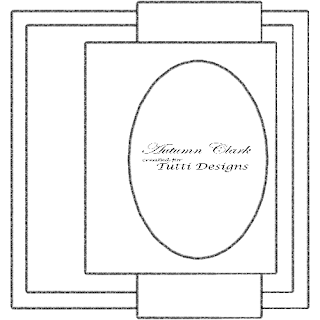 Autumn Clark here, your newest Tutti Designs Design Team member. I am so honored to be a part of this talented team and begin working with this fabulous new range of dies. 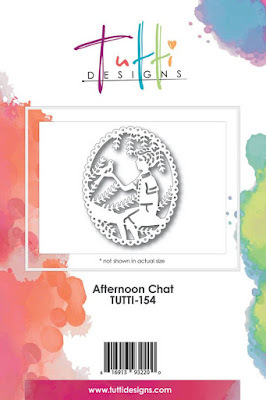 I am amazed by the intricate designs and variety offered by Tutti Designs. Personally, I am drawn to multi-layered projects and mixed media. I am happiest when making an inky mess at my workspace. For my first project I dreamed up a boyish color scheme and had papers in mind that didn’t exist when I went looking. So I decided to create my own coordinating papers for this card as a gentle introduction for you into the world of mixed media. As a bonus, I’m sharing my card sketch with you. It is so versatile and will work beautifully with many of Tutti Design’s dies, and either handmade or designer papers. First I cut my elements from watercolor paper. Next, I rubbed my ink pads onto my craft mat and spritzed with water, more or less depending on how vibrant I wanted each panel’s color to be. I dipped my panels and die cut into the inks and dried with my heat tool. Next, I stamped the patterns for my layers. I distressed the edges of the panels and assembled using foam tape for dimension. I used wooden beads and vintage seam binding to further embellish. I cannot wait to create a similar card with different colors, different background stamps, and other Tutti Designs dies. Thank you so much for your visit today. I look forward to sharing my projects with you each Thursday. Click HERE to purchase your Afternoon Chat die today! What a fabulous creation! Love your design using this Tutti die! Awesome inspiration ... thanks!